The High Court has ruled that Convention rights may be engaged in disputes between private landowners and trespassers, thereby making it incumbent on the court under Section 6 of the Human Rights Act to balance the trespassers’ rights under Article 8 against the landowner’s rights under Article 1 Protocol 1. The claimants, who owned land adjacent to a single track road surrounded by farmland, sought a possession order against the defendant activists who had set up camp close to the road in protest at the drilling program being undertaken by a company to whom the claimants had granted a licence. 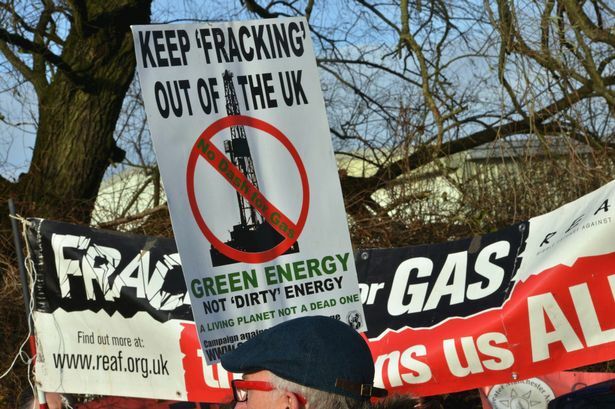 The protest, which obstructed the road on a number of occasions, was intended to deter the controversial fracking process which the activists feared would ensue. For our purposes it is only the third issue which is of interest; see also the concise discussion of the case over at the Nearly Legal Blog, Article 8 and the Private Sector. HHJ Pelling decided that there was no reasonably arguable defence; the claimants had proved that they were indeed the freehold owners, the road was a public footpath and the defendants had obstructed it. Articles 10 and 11 of the Convention did not even arguably provide the defendants with a defence to the possession claim. The land was owned privately, and to permit the protesters to occupy it would be a plain breach of domestic law and an interference with claimants’ rights under Article 1 Protocol 1 Article 1. In the instant case, both the defendants’ continuing disruption of legitimate use of the road and the duration of the protest were legitimate considerations. Finally, there was nothing to stop the defendants from carrying out their protest elsewhere. As for Article 8, it was no answer to a landowner’s claim for possession against a specific individual to say that the order would be a disproportionate interference with the protesters’ Article 8 rights. This argument was, in HHJ Pelling’s view, “plainly wrong in principle”. Article 8 is a right accorded to an individual who is entitled to assert it usually as an answer to proposed administrative action by a public authority. It is not an answer to a claim for possession made by a landowner against a specific individual that the effect the order sought will be a disproportionate interference with the Article 8 rights of other defendants unless the allegation is of interference with family rights, where the interests of the family as a whole may be relevant – see R (Beoku-Betts) v. SSHD  UKHL 39  1 AC 115. That is not this case. But the judge was also concerned with the question as to whether Article 8 has any application in a claim by a private landowner for possession of his her or its property from someone who is a trespasser. Having considered the case law (Malik v Fassenfelt  EWCA Civ 798, see our post here) it appeared to him that Article 8 was capable of being engaged in relation to land owned by a private landowner. The first instance decision in Malik raised the issue of the horizontal application of Article 8. Sir Alan, giving judgment in that case, concluded that the Court as a public authority was obliged to act in a manner that was compatible with a convention right and thus the notion that the court had no jurisdiction to extend time to a trespasser to vacate could no longer be good law. If the trespasser concerned had established a home on the land in respect of which the possession order was sought then it fell to the court, under Section 6 of the Human Rights Act, to decide whether eviction was proportionate in the circumstances. HHJ Pelling thought it was difficult to see how it could be said that Articles 10 and 11 were engaged in relation to possess claims by private landowners, without also concluding that Article 8 could also be engaged. Nor, given the Human Rights Act 1998 s.6, could the court opt out of applying art.8 simply because the claimants were private landowners. The private landowner was seeking to use a public authority, the court, to help him vindicate his ownership. The court could do so only on terms that respected the Convention rights of all relevant parties. Although applying art.8 to claims by private landowners would be an extension, it might not be an unprincipled one. Anyone relying on art.8 would have to establish that the land was a “home”, applying the Convention test applicable to that concept. Once the threshold had been passed, the only obvious justification for treating a trespasser on land owned by a local authority any differently than a trespasser on privately owned land was that the latter’s art.8 rights would have to be balanced against the private landowner’s Protocol 1 art.1 rights. That could be dealt with by treating the fact that the land was owned privately as the primary factor in deciding whether possession was proportionate. It would only be in exceptional cases that the landowner’s Protocol 1 art.1 rights would be trumped by the trespasser’s art.8 rights. (paras 38, 46-52). In this case it was decided that the defendants had not trumped the claimant’s rights. But, as HHJ Pelling remarked, what he has said about horizontal effect is quite likely to be a platform for appeal and we look forward to further refinement of the question of applicability of Convention rights in disputes between private parties, where the conduit for such applicability is the courts’ obligation under Section 6 HRA to reach ECHR-compliant decisions.